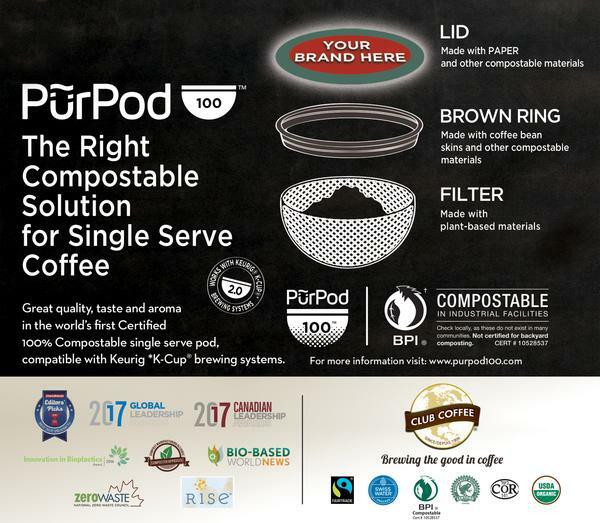 The PurPod100 is the World’s First 100% Certified Compostable Single Serve Coffee Pod compatible with K-Cup style brewing systems. Come and visit booth F2559 (Club Coffee) to learn more about our exciting innovations and private labeling capabilities. Club Coffee excels at developing and manufacturing great products for private label and branded customers. We share a long-standing commitment to making our customers more successful through our innovation and low-risk contract manufacturing services.